Rely on the first, the finest, personal care products for the side effects of cancer treatment. Alra (“all radiation”) has been proven effective and recommended by oncologists across the US for more than 15 years. Alra Care Products are ideal for your special needs during therapy and beyond. 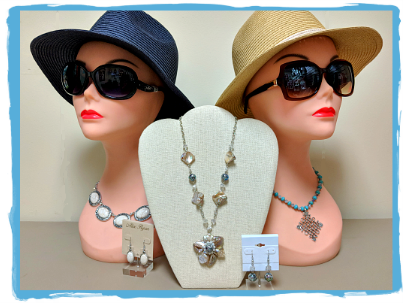 Each season we get in an assortment of new jewelry, including lovely necklaces, earrings, sunglasses and fine watches. 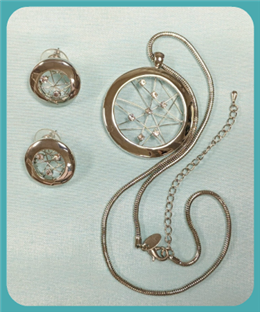 All pieces are good quality and moderately priced. Washable silicone for long wear. Non-adhesive. Coobie's water penetrable lingerie bag offers an easy solution to washing your bras and other delicates. The rust-resistant zipper and snap lock keep your items safe from tangling in the washer. Wash with the rest of clothes on gentle cycle. Cure slipping straps with Strap Doctor. Apply to bra straps, dresses, wigs or lingerie to prevent slipping. This product is discreet and effective. Additionally, each pair is reusable as it can be thrown in the wash still attached to fabric. No Dryer, please. Each pack contains 1 narrow pair and 1 regular pair.